Leading online bank with an initiative to rebrand all of its documents, letters & statements. Existing core systems and print capabilities made rapid change difficult. Updating letter templates and making certain they were consistently used by customer service representatives was challenging because templates were managed in various editable Word documents. requirements for a user friendly online experience. 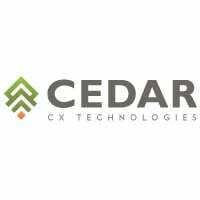 All correspondence was successfully rebranded, and business users were empowered to drive future content changes using CEDAR’s Rapid Content tool. Letter templates were integrated into CEDAR’s Rapid Letters module allowing template owners to lockdown content and to streamline the letter generation workflow, resulting in improved legal and brand compliance and the ability to more rapidly produce needed correspondence. Printing and mail costs were reduced because CEDAR rationalized and reduced the number of consumables and optimized the print and mail process, allowing the company to take advantage of postal discounts and high-volume print pricing. The ability to electronically deliver all correspondence and statements to customers. A complete record of all communications is available in a searchable online archive. These capabilities were deployed without requiring changes to their existing core systems or internal IT or outside print vendors having to undergo a complex implementation project. CEDAR as a service provider handled the needed project management and IT work. Questions about how you can realize similar results with CEDAR? Give us a call at (770) 395-5060 or email us.